Much has been published in recent years concerning the use of microcomputers in accounting education. However, little has been written on the benefits to the accounting practitioner. 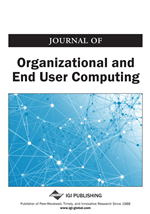 This paper directly addresses that benefit by applying Lucas’ Model of successful system implementation to microcomputer-based accounting software. Using the user satisfaction instrument developed by Bailey and Pearson, subsequently modified by Ives, Olson, and Baroudi, the authors sampled 108 accountants practicing in small businesses. Using the Kruskal-Wallis one-way analysis of variance and Kendall’s Tau, the data was analyzed to show that microcomputer knowledge is directly correlated with user satisfaction. Furthermore, it is shown that students should not just learn software packages, but should understand microcomputer operating systems and hardware technology as well.